If you've picked up a Nokia phone, you might be wondering how you can unlock it for use with another carrier. Depending on how you purchased your smartphone, the process for unlocking your Nokia can vary. Follow this guide to learn more about the unlocking process and how you can gain a bit more freedom with your Nokia phone on nearly any cellular carrier. What Is an Unlocked Nokia Phone? You've most likely heard the phrase before, but what exactly does it mean to unlock a Nokia phone? We aren't talking about securing your device with a pin code, but rather its ability to move between different cellular carriers. Typically, when you purchase your phone through a carrier such as T-Mobile or Verizon, your device will be restricted to that network. The process of unlocking a Nokia phone allows you to switch between carriers at will without any lock in. Is Your Nokia Compatible With Another Carrier? While unlocking your Nokia phone will allow it to be used on other cellular carriers, you must also ensure that your device supports that carrier's network technology. While this may seem complicated, it just means checking that the antennas in your phone can pick up the carrier's signal. Before attempting to switch to another carrier, consult your Nokia's manual to see the frequencies it supports; additionally, check with the carrier you intend to switch with to learn more about their network. 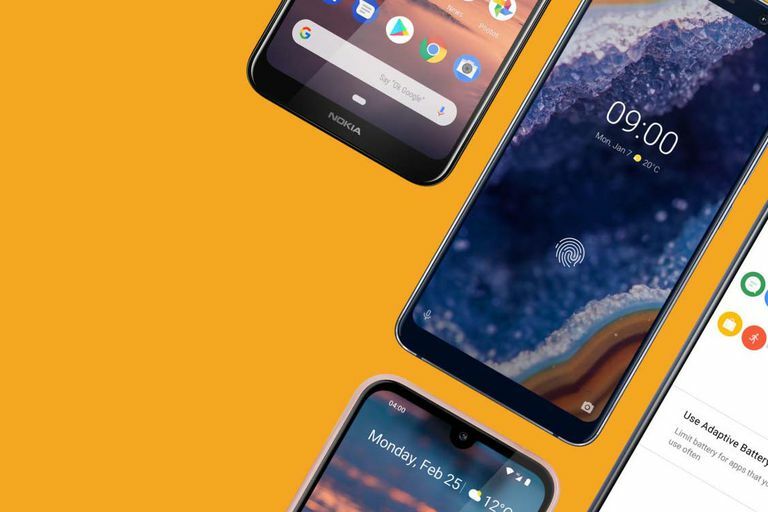 Bring your Nokia phone to a local carrier store, or call them over the phone, as they are typically able to check whether your device will be compatible with their network. First, determine whether or not your Nokia phone is currently locked. If you purchased the device at full price, directly from an electronics store, the device is most likely already unlocked. Otherwise, if you bought the device via a carrier plan or within a carrier store, the device might be locked. To confirm your current unlock status, you can contact your current carrier for more information about your device. Alternatively, you can use a website such as IMEO.info to obtain the status. Verizon does not currently lock its non-prepaid 4G LTE smartphones. If you have a prepaid device with Verizon, your device must first be in use with the carrier for a minimum of one year before requesting an unlock. AT&T device must be active for at least 60 days and completely paid off for an unlock request; additionally, it can not be reported as lost or stolen. If you have a prepaid device with AT&T, your device must first be in use with the carrier for a minimum of six months before requesting an unlock. Sprint automatically unlocks devices once their payment plans have finished; however, the carrier does require that your device is active with their network for at least 50 days before processing a request. T-Mobile will allow you to unlock a device once it is completely paid off — you are limited to two devices unlocks per line within a 12-month period. If you have a prepaid device with T-Mobile, your device must first be in use with the carrier for a minimum of twelve months or have had reached a specified number of calling card refills before requesting an unlock. If your current cellular carrier is not listed, reach out to them for more information on their unlock process. There's no magic key combination you can enter into your phone to unlock it. You have to contact your carrier directly using the links below. We do not currently recommend that you utilize any online unlocking services. While many services claim to offer an unlock code for your Nokia phone, many aren't legitimate. Additionally, it can be in violation of both your current carrier service agreement and U.S. law to unfaithfully unlock a device. If you need a device unlocked, call your carrier for the safest and most reliable method. What Is Rooting and Why Do People Root Android Phones? Is Jailbreaking an iPhone Legal? What Does It Mean to Jailbreak?